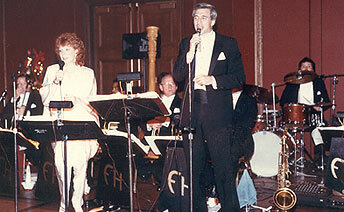 The highly acclaimed Fred Hall Orchestra has performed at hundreds of prestigious affairs throughout the region in Philadelphia, New York, Washington, Baltimore, Norfolk and Atlantic City. Guests by the thousands have been entertained by Fred’s wonderful charm and impeccable style. His extensive repertoire is designed to keep them involved and the dance floor filled throughout the evening. In addition to scores of private parties, weddings, and corporate events, his recent performances have included the Philadelphia Charity Ball (7 times), the Harrisburg Art Alliance Bal Masque, the Medical Staff Galas for both Northeastern Hospital and for the Medical College of Pennsylvania, Elkins Park Division.